10 He waited seven more days and again sent out the dove from the ark. 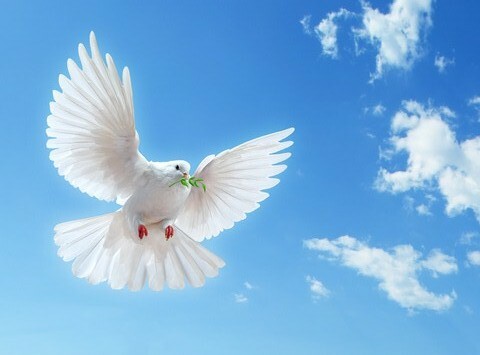 11 When the dove returned to him in the evening, there in its beak was a freshly plucked olive leaf! Then Noah knew that the water had receded from the earth. Many of us are like Noah waiting on our flood to end. It’s no longer raining but our feet are not yet on solid ground. In the story Noah sends out a dove and the dove returns with a branch indicating that the flood was receding. This sign in our lives can easily be overlooked. We often want some big demonstration that indicates brighter days ahead. I want to encourage you to see “signs of Land” in the smallest of details. This happened to my last week Thursday. I have been seeking God for a HUGE financial miracle. I have been declaring the word of God over and over. I thought to myself maybe today I will receive a check in the mail. As I see the mailman pull up, I hurry outside and low and behold its a check. Yippee, right!! Wait for it, it was for $5.00. I decide to bless the $5.00 and ask God to multiply it much like he did the fish and loaves of bread. As I was making my mobile deposit, I remembered a lady had written me a check for my daughter children’s book. The check was for $10.00. Ok, Lord I started with $5.00 now I have $10 thats $15.00 total. I made my deposit. If you have been anywhere near my home office you know my desk is always a disaster. This day I decided to file some papers away. While clearing my desk, guess what I found? I found a check for $150.00. See, the $5.00 check was just “signs of land”. I have no doubt that because I blessed the $5.00 check and asked it to be multiplied is the reason I found another check that was nearly 3 months old. Many checks have to be deposited before 90 days and this check was just a few days shy of 90. Had I found it the next week, it would’ve been too late. God is always on time. Today, I am not discounting the olive branch of my prayers. For they are just a sign of MORE to come. That was right on time!